Summer camps are quickly approaching, and team gear packages are one of many items on your end of school year agenda. As your students prepare for pool parties and summer vacation, you struggle with grading report cards, finishing lesson plans, and signing your team members up for summer sports camp. Many coaches wear the hats of teacher, coach, and mentor, which means that preparing for summer camp may be the last thing you're ready to tackle this spring. While summer camp gear may not take precedent over report cards or final exams, it is something that's important to keep in mind as the school year comes to an end. Oftentimes, choosing team gear packages can seem overwhelming, especially when there are other responsibilities at hand. How can you take the headache out of buying summer camp packages for your team? By focusing on three things: brand, budget, and time line. Let's talk about these concepts in greater detail, so you can be better prepared to choose a package that's the right fit for your team. There is no disputing that kids and coaches are increasingly conscious of branding their teams with high end sports gear. You want your team to look professional and feel confident in the gear that they're wearing, so what better way to kick off the summer than by outfitting your team in style? Brands like Under Armour and Adidas oftentimes offer cost-saving packages for team purchasing, and can supply everything from uniforms to sneakers and bags. These big name brands are pretty similar in terms of durability, performance, and familiarity amongst athletes. It's difficult to say why coaches choose one brand over another, and oftentimes it comes down to personal preference. For example, basketball coaches like the style and custom design of Adidas uniforms, whereas a football coach may prefer Under Armour for its large portfolio of performance management shirts and compression fit garments. Struggling with choosing the right brand for your team? Start by asking the experts, and consult a team dealer for help. They can answer your questions, help narrow the search, and provide samples of different gear so you can touch and try on apparel before committing to a purchase. Let's face it, most of us aren't lucky enough to have a revolving budget for new uniforms like the University of Oregon Football team. 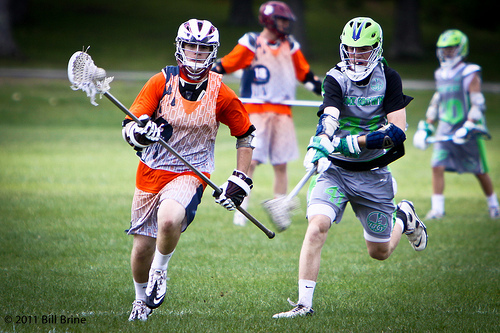 Whether you coach high school lacrosse or a youth basketball league, budget cuts are significantly affecting athletics nationwide, oftentimes resulting in parents picking up the cost of team gear. And while that Under Armour package looks professional and seems perfect for your team, parents may push back on the price tag of a high-end summer camp package. A team dealer can add a lot of value for teams struggling with budgets, and help you find a value brand that offers good quality product with a smaller price tag. Brands like Sport-Tek or Badger have great deals on team packages, and can provide options from cotton tees and hoodies to performance tees and polos. Team dealers will help you to navigate those value brands who can offer durable, affordable, and professional looking gear, and ensure that your athletes feel proud and the parents feel good about their purchase without breaking the bank. This factor is often the last thing considered when planning for summer camp, but is extremely important to the successful execution of a team package. Time line isn't just about when you need the product, it involves allotting time for purchasing, negotiating, and decorating your gear to ensure that the finished good meets your expectations the first time around. First-year coaches and athletic directors have a lot on their plates, both on and off the field. A team dealer will ensure that the product is there when you need it, will ask the right questions to steer the course of your investment, and plan out the time line for you without you having to manage it on your own. From purchasing goods to decoration, a team dealer can save you time and money on your summer camp package, and make sure your team walks off of the bus in style. If you're starting to think about summer camp for your squad, take a look at our Summer Camp Guide for ideas and savings on team packages. Still not sure where to start? As a team dealer, we'll take the hard work out of planning for camp for you. At SquadLocker, we love teams! And we want to hear about your goals, your challenges, and your questions about team sports apparel. So what are you waiting for? Give us a call today, and take the stress out of planning for summer camp.